UPDATE: See the most recent Brightest Headlights rankings. Today’s market is filled with headlight bulb options, all claiming to be the brightest headlights. We’ve even seen new technology enter the space in recent years, from HID (high intensity discharge) headlights to LED (light emitting diode) headlights.But in the end, which headlights are actually the brightest? We decided to answer this question once and for all. 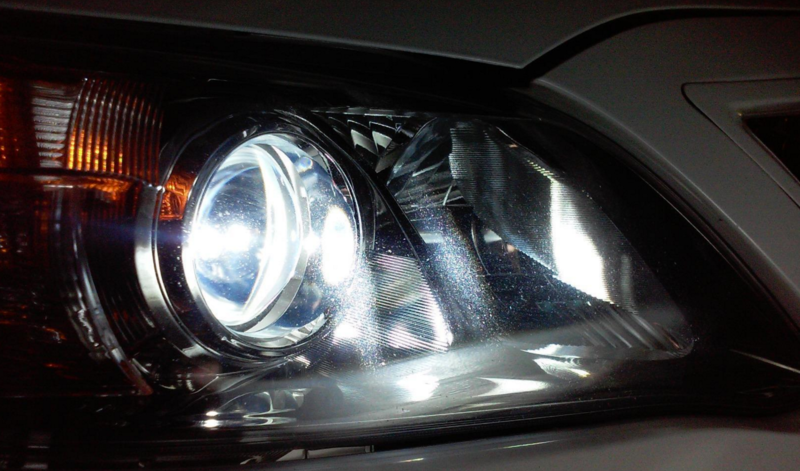 The clear winner is the XenonPro HID Headlight Bulbs, and for good reason. By nature, HID headlights are an extremely effective light source, much brighter than standard halogens by a long shot. HID (high intensity discharge) headlights produce light by means of an electrical arc that’s housed inside a quartz bulb thats filled with gas (that’s the short version). Just know that this method for producing light is efficient and VERY BRIGHT. For those whose vehicle is already equipped with HID headlight bulbs, installation of these bulbs is as easy as removing the old bulbs, and replacing them with new ones. 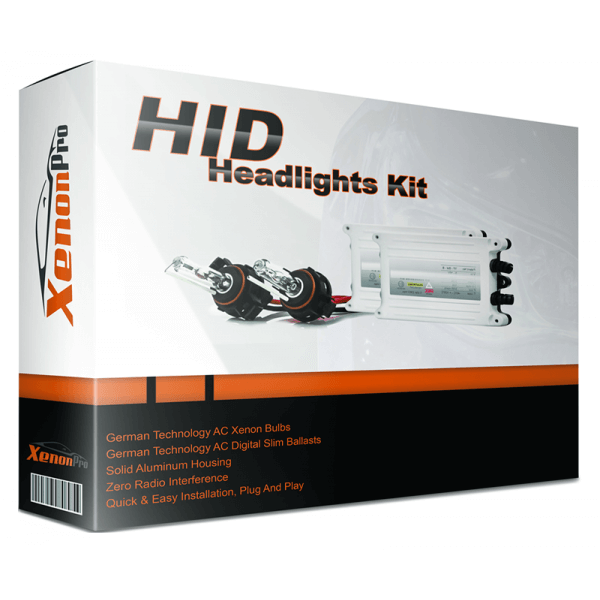 If your vehicle comes equipped with halogen headlight bulbs, and you want to install HID headlight bulbs, you’ll need to consider a HID conversion kit. 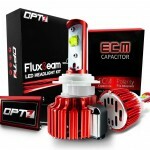 These kits give you all you need so that you can run HID headlights safely in your vehicle. LED headlights are the newest player in the headlight space. 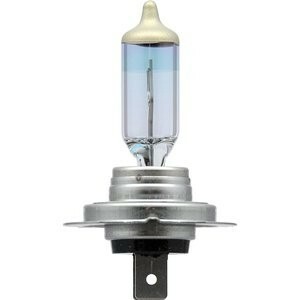 This newer technology comes with many pros and a few cons, but overall, it out performs the traditional halogen bulbs. LEDs have a much longer service life than halogens, and can product a much whiter light without the use of tinted bulb glass or filters. 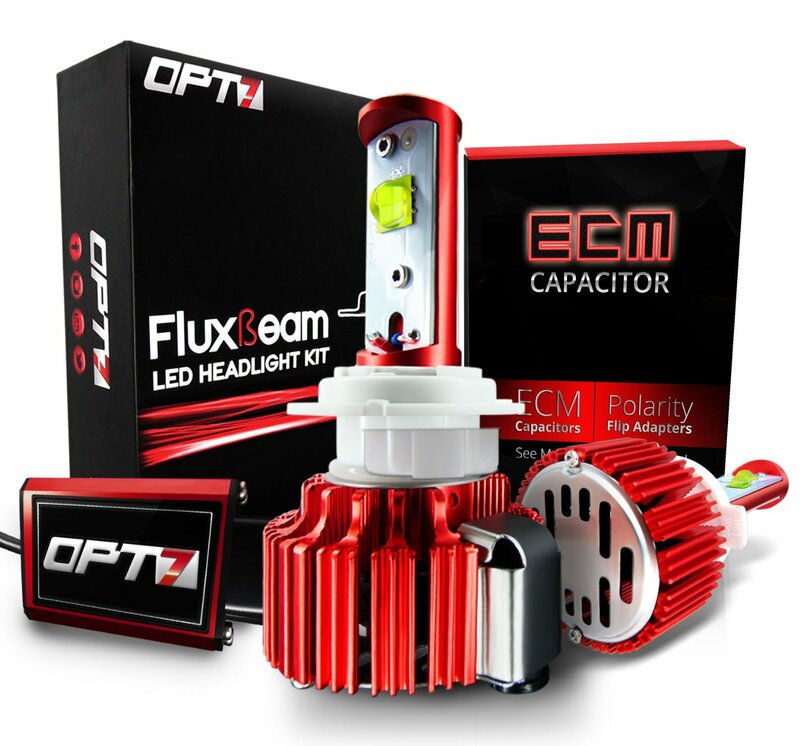 OPT7 currently stands at the top of the heap with this LED headlight kit. Long Service Life: OPT7 gives these LED bulbs a 50,000 hour service life, which is much longer than anything else available right now. 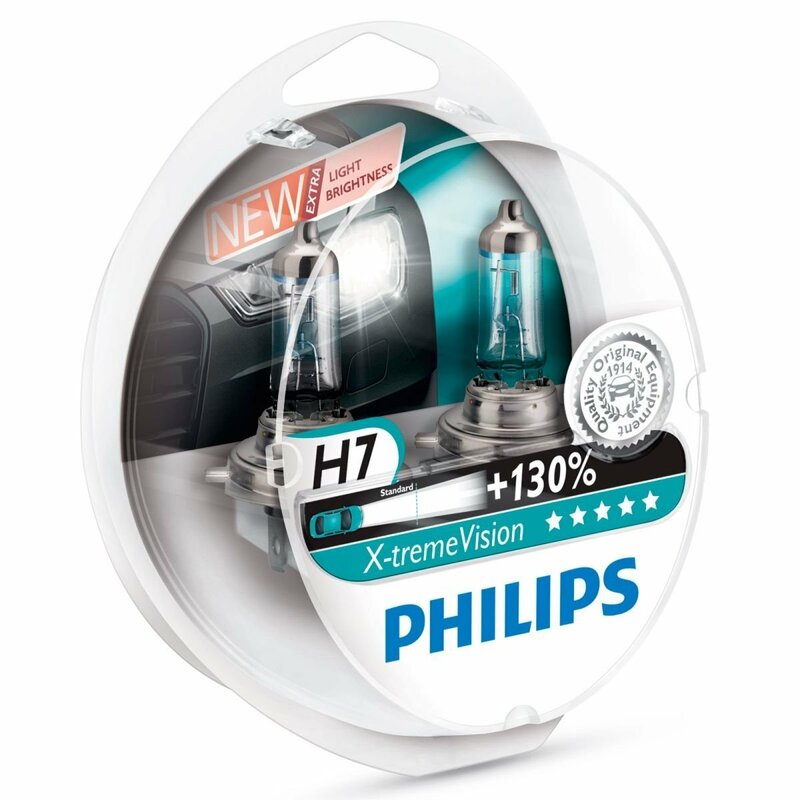 To put this in perspective, the high performance Philips X-Treme Vision bulbs below will give you only 450 hours. Excellent Light Output @ 3500 LMs/bulb: If you’ve ever seen a LED flashlight, you know just how bright LED light can be. This particular set will throw 7,000 LMs down the road for you, and they’ll do it for 50,000 hours. NBD. Ideal Color Temperature: At 6000K, these bulbs produce a nice white light. Anywhere between 5000K and 6000K is the closest thing you’ll get to the light from the sun, in which human eyes are trained to see best. They’re not yellow, they’re not blue, they’re white. More Expensive Than HID and Halogen: This kit currently costs around 4 times what you’ll pay for HID or Halogen bulbs. But they also last longer, so you decide. I expect the price will come down as time goes on. Directional Light Sources: If you look closely at the bulb, you’ll see that the individual LEDs are mounted to the sides of the housing. As you could guess, you’ll likely have weak spots in the beam because of this, as opposed to a halogen or HID, the light source emits 360 degrees. If you’re going for brightness, LEDs are among the very best, with the added benefit of the a very long service life. 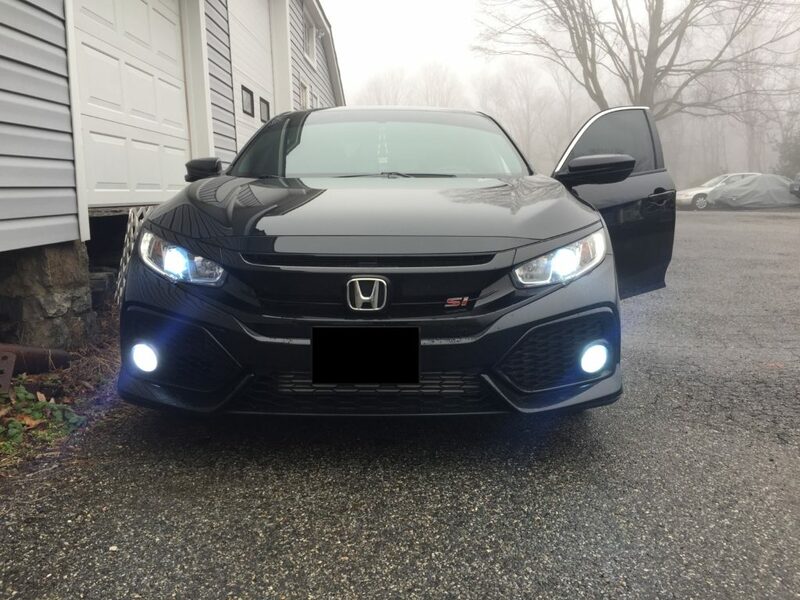 OPT7 has done a wonderful job with this LED kit. Regardless of what your original equipments is on your vehicle (HID or halogen), this kit will convert your vehicle to LEDs in 20 mins, with no cutting wires. All plug and play. Well done OPT7. High Wattage: Brightness has everything to do with wattage. 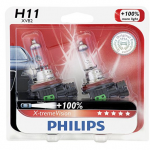 This bulb has 65W high beam, and 55W low beam. Comparatively, this is as high as you’ll find, legally. Minimal Bulb Coating = Maximum Light Output: Many bulbs place a bluish coating on the outside of the entire bulb in order to produce the white color that many people want. The downside to that is coatings or tints reduce the amount of light that is able to escape. As you can see in the picture above, the body of this bulb is clear, allowing the maximum amount of light to escape. Shortened Bulb Life: Although 450 hours is a long time, you can often get OEM bulbs that last a little longer. It’s the price you pay for a high performance headlight bulb. Color Temperature: Most people that buy high performance headlight bulbs want a whiter light in addition to more light. These come in at 3700K. If you want true white light, you’ll want a bulb that’s rated at 5000K-6000K. To answer this question, we must define “bright”. Bright is “the luminance of a body, apart from its hue or saturation, that an observer uses to determine the comparative luminance of another body. Pure white has the maximum brightness, and pure black the minimum brightness.” Great, now what does that mean? Brightness is a combination relative light output and color. Humans tend to measure brightness based on something’s perceived intensity. In this case, we’ll define “bright” as being both intense and being white, or close to white in color. As you shop for the right headlights for your vehicle, you must decide what is most important to you: brightness, color, longevity, price etc. For some, they just want to look good going down the road. You’ve seen them. They’re the ones with the blue halogen headlights that glare for miles (not that there is anything wrong with that :). If you’ve ever installed this kind of headlight in your car, you’ll know that from the outside looking in, they look great, from the the inside looking out, you can’t see crap! I even had a brother-in-law tell me that once your eyes adjust to them, they’re great. Well I guess my eyes never adjusted because I still couldn’t see, so I ripped them out. Anyway, that’s fashion before function. That’s a discussion for another day. If you’re like me, function is fashion, per-se. To me, the better the headlight functions (ie, allowing me to see better at night) the better it looks in my vehicle. In my experience, bulbs that actually improve your ability to see at night tend to appear brighter and whiter, which in my opinion is ideal. And if you want the “blue look” go HID. Who are you fooling with your blue halogens, really? I’ve personally tested this bulb as well as others, and have yet to find a bulb that performs as well as this one does. It’s bright. It’s white. It’s not the most expensive bulb available. It’s manufactured by a trusted company. It’s made well, and these are the brightest headlights available on the market today (that are legal of course).